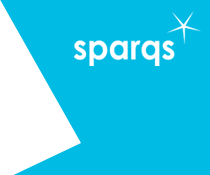 sparqs > Supporting Students > Senior student officers in universities > That's Quality! That's Quality! is our annual 2-day quality induction event for university student officers and those who support them. Our 2018 event took place on Tuesday 17th and Wednesday 18th July 2018, at University of Stirling's Stirling Court Hotel. See the event page for further details and the resources from the event. The 2017 event place on Wednesday 26th and Thursday 27th July at West Park Conference Centre in Dundee. See the event page for further information and the materials from the day. That's Quality! 2016 took place on 12th & 13th July 2016 in Dundee - see the event webpage for further information and the materials from the days. That's Quality! 2015 took place on 14th and 15th July 2015 in Edinburgh (increased to a 2-day event in 2015). See the event page for full details, including the objectives of the event and all the materials from the days. That’s Quality! 2014 took place on 23rd of September 2014 and you can view the materials from the day. That's Quality! 2013 was held on 6th August 2013. Click here to view the materials.